On December 13, 2017 the Portland City Council approved an ordinance change that will allow the Museum to take the next steps in the proposed Rothko Pavilion project. The vote marks an important milestone in a public process toward realizing an enclosed, accessible central entrance and free public space between our buildings that maintains free public passage. 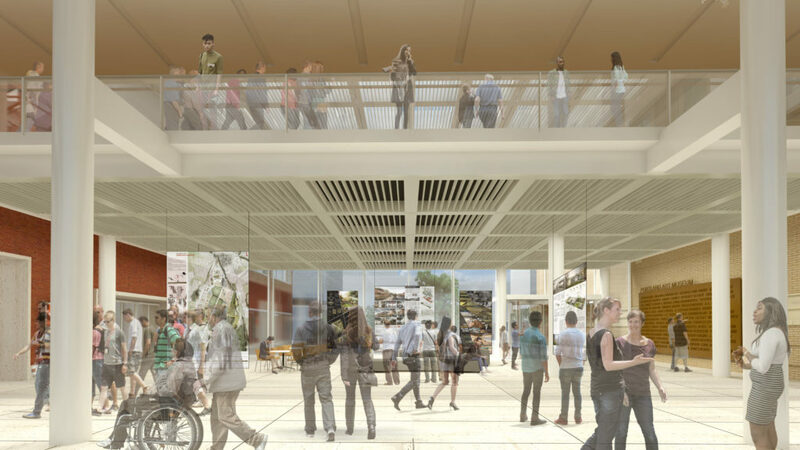 It also facilitates the redesign of existing galleries and corridors that will make the Museum more accessible to people of all ages and abilities. “It was gratifying to hear the range of testimony in support of the project and to receive affirmation from the Mayor and Commissioners,” said Museum Director Brian Ferriso. The Museum heard excellent feedback during the past several months that will help to create a better Museum for the entire community, such as the importance that the Pavilion remain free and accessible for everyone, including people with pets and bikes. Additionally, based on input from stakeholders and the City Council, the Museum offered to expand the hours of the current ordinance to keep the Pavilion open and safe during all Portland Streetcar hours. Look for more updates as the Museum continues to listen and move ahead with this community-centered process.